That quotation from the Kālāma Sutta is always taken out of context. It really only applies to ethics. It’s about how you decide to treat other people. But no one bothers to read the whole text any more – they just cite this translation (which is not a particularly helpful translation btw). Nor is the passage very clear as the exhortations all lack a verb, the “go” in your translations is interpolated by the translator, but no one really knows any more what the author intended. The argument *in context* is that you can trust your own experience of interacting with people when deciding about how to treat them. It’s kind of the Golden Rule, but far more naive. It says nothing whatever about what to believe or how to assess ideas or metaphysics. And the eponymous Kālāmas of the text are entirely uncritical in adopting the Buddha’s views – which means that this is not a sutta about “free thinking” as some would have it. Not at all. It’s about celebrating conformity to Buddhist norms. Which is the opposite. So the continued use of that quotation to try to show that Buddhism is a freethinking religion is ironic. “Stripped of its cultural baggage Buddhism is the anti-dogma religion”. Two problems with this. Firstly wrt “cultural baggage”: How do you decide what “cultural baggage” means? How do you decide which parts of Buddhism *are* cultural baggage? How do you strip Buddhism of cultural baggage? What usually happens is that people simply strip out whatever doesn’t appeal to their modernist values and what remains is nothing to do with historical Buddhism. This modernist project has been described by Robert Sharf and particularly by David McMahan in his book “Buddhist Modernism”. A case in point, given how you refer to the Buddha, is the name Siddhārtha (Pāḷi Siddhattha). It is never found in the earliest texts, In middling age texts the name is more often Sarvārthasiddhi. So the name Siddhārtha is itself cultural baggage, probably designed to accommodate Buddhism into Brahmanism post-Asoka. Moreover Gautama is a high prestige Brahmin gotra name (gotra means lineage) that traces back to the authors of the Ṛgveda. The Buddha was not a Brahmin. So this name is also cultural baggage from the same milieu. More recent research by David Drewes persuasively argues that there is no historical evidence for the Buddha and that he should not be considered an historical figure. In other words the Buddha himself is cultural baggage! Secondly, wrt dogma, in practice Buddhists are fully committed to a variety of dogmas. Buddhism doesn’t work without them. A dogma such as the doctrine of karma, for example, is central to Buddhism. Historically many innovations in Buddhist thought seem to have been driven by rescuing karma from apparent incoherence at an earlier stage. Other dogmas include rebirth, the authenticity of Buddhist texts, the sufficiency of Buddhism to solve all problems, and so on. It’s not until you start questioning these dogmas, as I do in my writing, that you begin to appreciate the scope and intensity of Buddhist dogmatism. No death threats yet, but a lot of people get very angry about it when I point out problems in their belief system. Looking at what you’ve written I’m thinking, “Ah, another person who has fallen in love with Buddhism and sees it through this blinding lens.” The thing is that meditation does do interesting things to the brain and that makes it look attractive to a neuroscientist or someone who shares that worldview. I get that and I share that enthusiasm. But in point of fact you can’t really strip away the cultural stuff (baggage or not) without eviscerating Buddhism as a religion. And most Buddhists would resist that in my experience of pointing out the flaws in Buddhist doctrines. 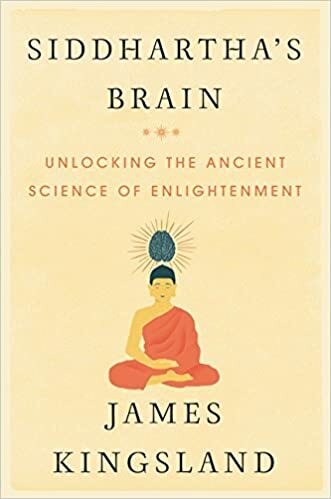 Neuroscience itself makes karma and rebirth extremely implausible and it counters the tendency towards Vitalist explanations of life that abound in Buddhism. But you try saying to the Abbot of Amaravati that karma and rebirth *cannot* happen and see how far you get. I do look forward to reading your book at some point. Thanks Jayarava for your very thoughtful and insightful comment. I’m happy to defer to your knowledge of the Kalama Sutta and its translations – I see from your blog that Buddhist scriptures are your area of expertise! No doubt opinions differ even among scholars. Even if this teaching was originally intended to be specifically about ethics, however, the principle of thinking for yourself, in the light of your own experience, rather than blindly accepting what an authority figure says, is surely universally applicable. With regard to cultural baggage, my point of reference for all things Buddhist in my book was the Thai Forest Tradition, which was started in Thailand as a movement that tried to go back to the earliest teachings (the Pali Canon) as a reaction to the ossification of Thai Buddhism in the 19th century. It’s far from being a modernist movement – quite the opposite in fact. So when I talk about “cultural baggage” I’m thinking in particular about superstitious Thai practices that have become established over the centuries such as monks dishing out “good-luck charms” as a reward to people who give them alms, or blessing everything from farm animals to new automobiles that worshippers might bring to their local temple. Of course there’s no such thing as culture-free anything. When I wrote “cultural baggage” I was thinking about the trivia to which people often superstitiously cling in the name of religion. But there will always be cultural conventions about what we call something or someone – Siddhattha Gotama, Siddhartha Gautama, Sakyamuni, the Tathagata – whether they’re old conventions or recently established. It doesn’t really matter very much, does it, as long as we don’t cling stubbornly to our own favourite labels and deny the legitimacy of anyone else’s? In the end they’re just labels of convenience. That the Buddha was not a brahmin (as far as it’s possible to know, of course) but a kshatriya so couldn’t have had the name Gautama may be an anomaly that interests historians but is hardly something that Buddhists are likely to fall out with anyone over. If they did, someone like Ajahn Amaro might gently point out that they were clinging to what is only really a label, a convenient convention. As regards Buddhist dogmas, I’d be very interested to read what you have to say about them in your books. It’s true that many Buddhists will speculate about the operation of karma and rebirth, but this isn’t something that they do in the Thai Forest Tradition. In fact I asked Ajahn Amaro about rebirth and he told me his teacher the Thai forest monk Ajahn Chah would dismiss any speculation about rebirth as pointless. It doesn’t get you anywhere. What matters is the consequences of your actions in this life. Similarly if you look at the collected teachings of the previous abbot of Amaravati, Ajahn Sumedho, you won’t find anything about rebirth – or at least I haven’t yet. There’s barely a mention of karma either, and certainly not the kind that’s supposed to carry over between lives. For the record, I don’t personally believe in rebirth. Amaro and Sumedho may do, but neither has wasted any time publicly speculating about something that is ultimately unknowable. Incidentally, even the Dalai Lama has said that it’s not necessary to believe in rebirth to be a Buddhist, though he clearly believes in it himself. But he has also said that he will abandon any established Tibetan Buddhist teaching if it is found to be incompatible with the discoveries of modern science. He has abandoned Buddhist cosmology, for example. So yes, there is dogma, but I hope it is not clung to as tenaciously as that in other religions. I look forward to reading your books at some point too! But don’t forget that even scientists have their dogmas (they call them “theories”), whether it’s supersymmetry or the multiverse in physics or group selection in biology. It’s only natural and healthy in every field of human endeavour. What’s unhealthy is clinging to them in the teeth of the best available evidence.